SIGN UP FOR THE NEW NOVEMBER NEWS LETTER & SPECIAL OFFERS ASAP! If you are reading this and have not signed up for my monthly news letter and special offers- Please do ASAP as i,m about to also send out the new November Stu's News Letter out- That should make you smile :) To sign up just visit the front page of the web site and add your email- its that easy!! Pre-order your copy, of Connect Now!! get it first! 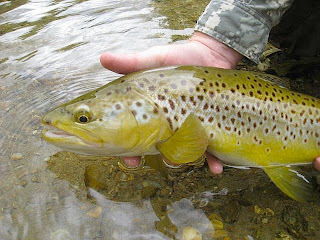 The rivers at last are dropping and all starting to clear as of today, so there should be some awesome fishing to be had on every southland river system. Last week there was basically no fishermen around and customers, due to the wee storm and with all the discolored river systems, nobody could fish!. So providing the weather holds and there is no rain all should be good this week, mind you having just checked the weather for this week- rain and snow is forecast for mid week ,so it could result in the water levels rising again! So check before you head out. 2-3lb fish not good enough!! The browns are in top condition! -providing you catch one! A few of the busy Queenstown guides were scrambling for clear water last week and having no choice but to drive over 3+ hrs return to Qtn they all stopped into the shop on the way past for a break and to get some flies and have a wee laugh and joke.- Mainly all small tungsten NZ brown mayfly nymphs , i noticed ! 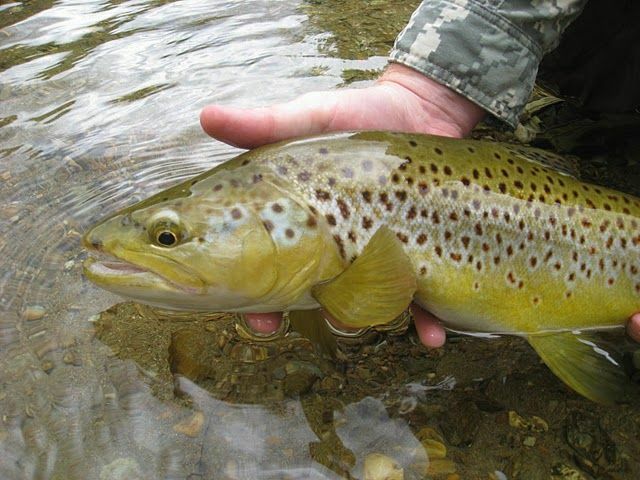 they purchased for the small Southland streams they were heading for. They all had some awesome lovely clients with them ,who were all having fun, most of them were from South Africa and mainly had come for the rugby, so good to see that they were enjoying NZ to the full and getting out there despite the conditions and giving it a good crack! I get the feeling there was more fish seen ,lost than caught! But hey that's fishing!! Martin Simpson- YES the best fish artist in the world is a KIWI !! 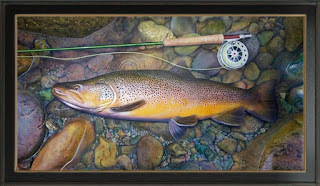 Last year for my clients was pretty much a big fish year and Roy one of my clients decided to get Martin to paint his trout of a life time. We took over 30 photos of the fish and measurements of it and the surroundings it was caught in and released it unharmed. Armed with as much information as possible Martin over 4 months created a life size painting of Roy's Trophy trout. Every detail of the fish is 100% and the rod under the water with the Sage serial number is so precise- its pretty mind blowing ! . I showed this photo of the painting to two different people - who all thought it was a photo!! That has surely got to be the ultimate complement of Martin ,just amazing work. If you want something to remember for the rest of your life or a loved one- look no further than Martin. The more photos, details and measurements etc you can give him , just like any artist the better !. Yesterday I sent quite a while with a reporter of the Southland times news paper about overseas tourist fishermen, Water quality etc. So Hopefully this week there will be a good feature about The Matarua river and water quality etc this week . Its hopefully doing to be a big article raising awareness of this special water way and what lies ahead in the future!!! There is a great series of dvd done by this old guy from the states , that at first you may not think they are your cup of tea!! The camera work compared to some of the new dvds is not the flashest. 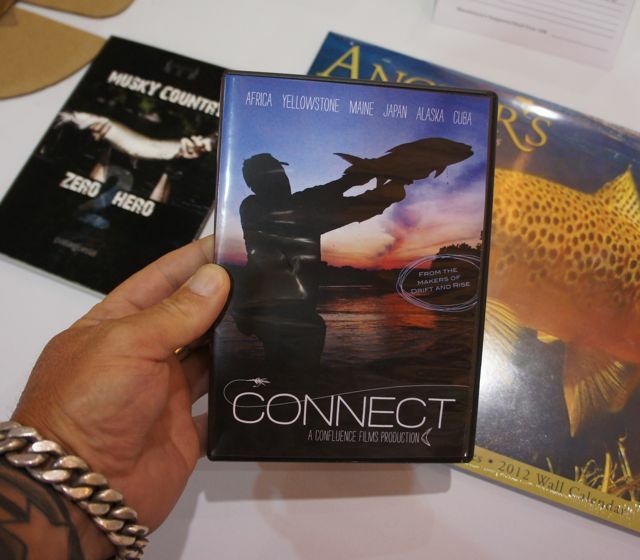 BUT he nails it with every dvd hes produced, for me he lets you go insider the trout world and he takes you on a different journey each time with each dvd in getting you to think like a trout. 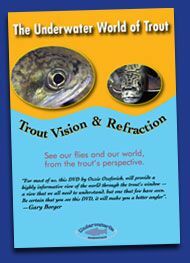 This DVD will be of more interest to kiwi fishers as we sight fish for fish and stalk them , you will learn in this new dvd what the trout will and can and can not see from below the surface- after watching it when you stalk any fish again - i bet you change your game plan a little!! KEEP THE COMMENTS & PHOTOS FLOODING IN!! Please keep the comments coming in about my Superior flies and let any of you forum friends or facebook friends know all about my work and fly designs, It is and would be very much appreciated. Hi Stu, please try to find your old blog on Blogger, it was an invaluable resource of fishing inspiration and information for the Mataura Area, and I am sure that there will be a way to recover it, you will have to email Blogger the host platform directly, look in their FAQ's section, or enlist a passing IT Geek fisher for help! All the best, and see you again next time we're back in NZ, Nick from Nelson and Kat from Germany, friends of Michael Arfstrom the Swedish fly fishing guide (25 y.o) who you met in shop in Feb.
Keep up the great flys plus enthusiam, great to find someone who's even a keener angler than i am!